Researchers from the Washington University School of Medicine recently conducted a study where they observed e-cigarettes from a child safety angle. They discovered that parents were largely unaware of the risks of e-cigarette liquid and that proper precautions were not being taken when used. 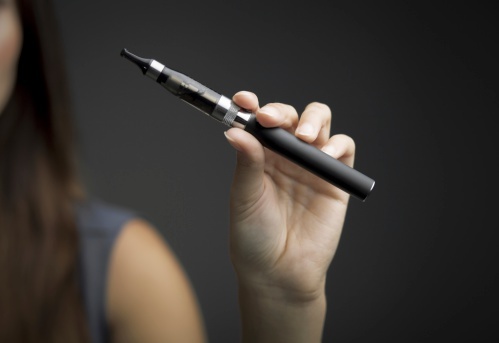 The hazard revolves around the liquid that is poured into e-cigarettes to be vaporized. The liquid is a mixture of nicotine, glycerin, glycol, and various flavorings. If ingested, small amounts can cause nausea and vomiting strong enough to warrant emergency medical attention. One teaspoon is enough to be fatal to a child, as demonstrated by a case in New York in 2014, where a toddler died after drinking nicotine solution. The liquid can be partially absorbed through the skin and sicken someone if it spills on them. Researchers surveyed 658 parents at 15 different pediatric practices in the Midwest U.S., asking about how much they knew about e-cigarettes. Approximately 628 parents (95%) were aware of e-cigarettes, and 77 parents (12.3%) reported that e-cigarettes were used by at least one person in the household. Although nearly 75% of parents believed the nicotine solution could be dangerous to a child if ingested, only 31.2% believed skin contact was hazardous. The survey also examined how the nicotine solution was stored. An approximate 36% of admitted e-cigarette users neither locked up the bottles when not in use or employed childproof caps—such caps are mandatory in Europe but not in the U.S. The most common places for the solution to be stored were a drawer or cupboard (34%), a purse or handbag (22%), or on a counter (13%). Three percent of those in the study reported that a child had tried to drink the solution at least once. These results, researchers suggest, highlight how important it is for people to be properly educated about the risks that e-cigarette liquid can pose. As with any other substance, the best way to reduce the hazard is to either use a childproof cap or to store the solution out of reach of children. Garbutt, J.M., et al., “Parental Use of Electronic Cigarettes,” Academic Pediatrics 2015, doi: http://www.academicpedsjnl.net/article/S1876-2859%2815%2900221-1/abstract.